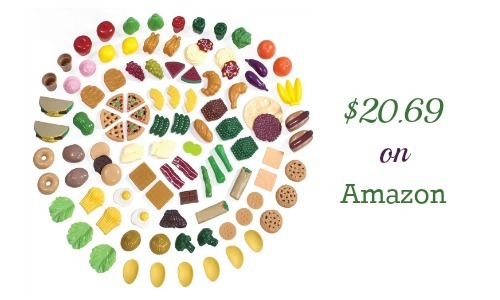 Amazon has a great deal where you’ll get a Step2 Play Food Set for $20.69. It’s 101 pieces of play food for 20¢ each! This 101 piece set is usually $39.99 so I’d grab it before the price goes back up. With this Step2 Play Food Set, your child will have hours of fun using his or her imagination.